VCC utilized advanced light modeling and human vision simulation to simulate and analyze the photometric and illumination properties of the proposed design. We then optimized for performance, efficiency, and appearance. 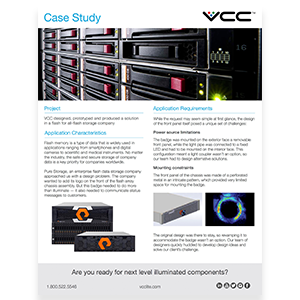 Due to limited power availability, VCC developed an LED module that took advantage of a nearby USB port for its power.